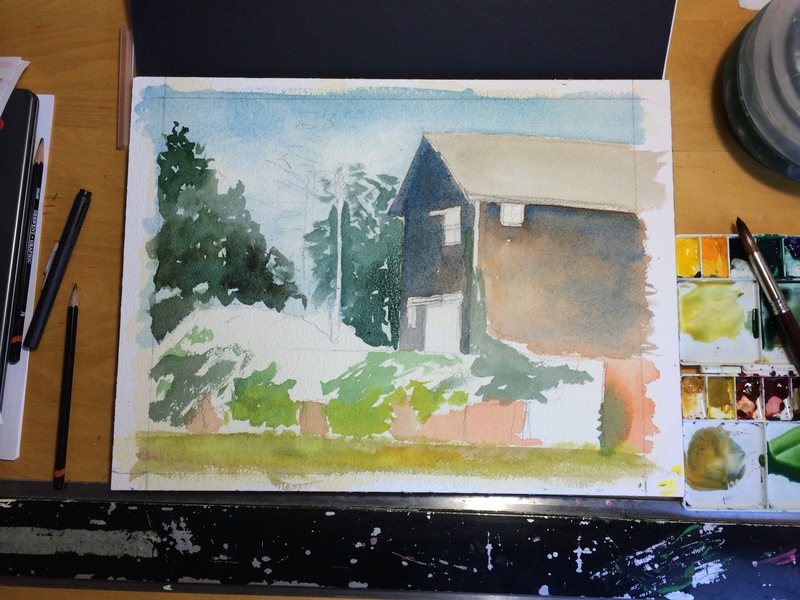 I moved this painting a little further this morning, laying in the some washes and shapes and working out the barn. The colors aren’t right throughout, but I intend to adjust them in the later stages. For this morning I just wanted to get the shapes in. This is probably not the best painting to use to think through what I saw in the Jamie Wyeth exhibit, but I think the point for me in this one is to just work on overall tinting of the painting, getting the right mood. More thoughts on Wyeth later. For now, here’s what I worked out this morning. It’s developing nicely. Good job, Corey. Stay with it.